By giving employers the option to print on white paper rather than expensive red forms, the latest version of 2017 ezW2Correction software is helping businesses cut costs. Download and test drive this software at http://www.halfpricesoft.com. 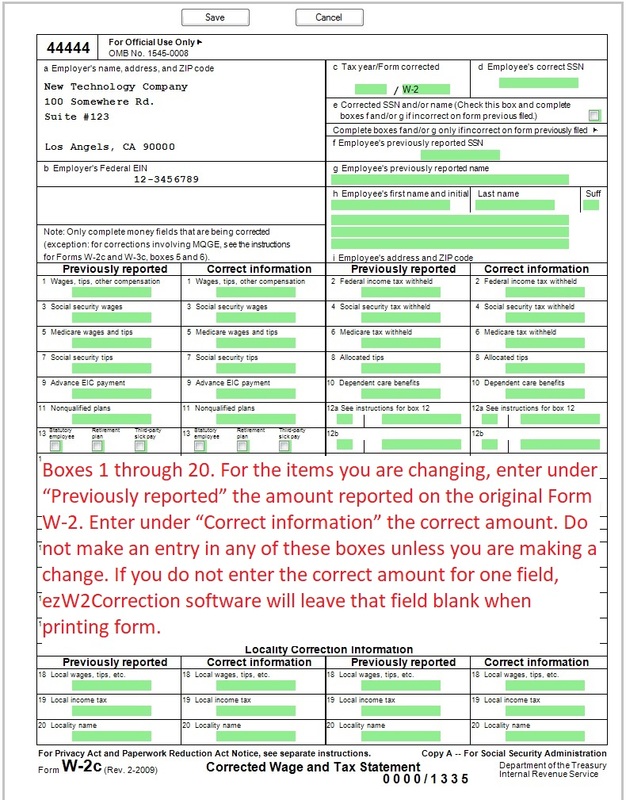 With the new ezW2Correction software, Halfpricesoft.com has responded to customers request of a simple and low-cost way to print and file W2 corrected forms on white paper. Preparing and printing W2 and W3 correction forms is easy and affordable with latest 2017 ezW2Correction software. 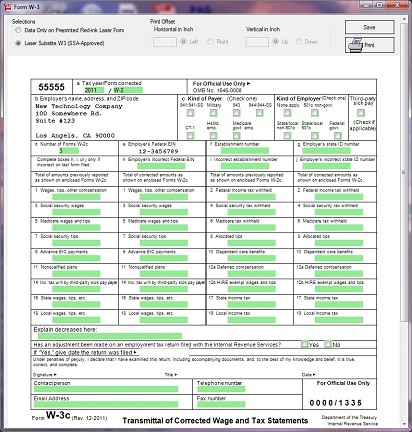 W2 and 1099 tax software provider, Halfpricesoft.com is approved by SSA to print all W2C and W3C forms on white paper, this will make ezW2Correction software even more user friendly to businesses! 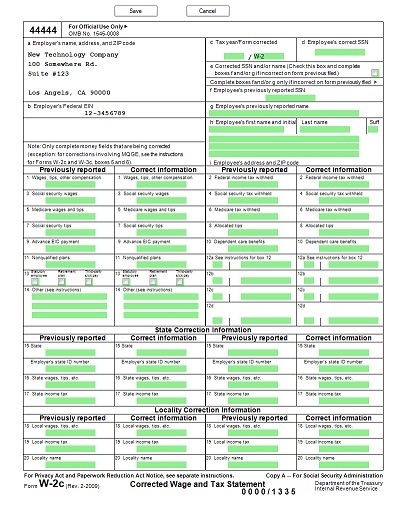 “With the new ezW2Correction software, we have responded to the customers’ request of a simple and low-cost way to print and file W2 corrected forms on white paper.” said Halfpricesoft.com Founder, Dr. Ge. This software has also been enhanced with the quick data import feature that can import employee and certain W2 data from .csv file - a common format used by spreadsheet software, as well as e-file document. Priced from only $49.00 per calendar year, (single user version)the new W2 Form correcting software combines versatility in features with affordability. Visit http://www.halfpricesoft.com/w2c_software.asp for the no obligation test drive. Clients save valuable time by eliminating an extensive learning curve - ezW2Correction is designed to be simple and intuitive, allowing users to get started right away. 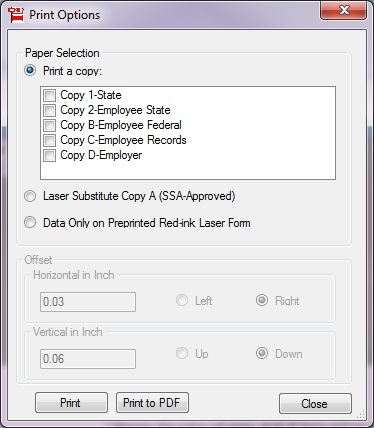 ezW2Correction software can print W2C (copy 1, 2, A, B, C and D) and W3C on plain white paper (SSA-approved. 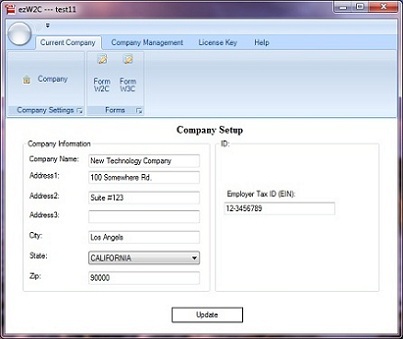 As with all software from Halfpricesoft.com, ezW2 Correction has a user friendly design that allows customers to get started immediately after installation from http://www.halfpricesoft.com/w2c_software.asp. ezW2c supports unlimited companies, forms and recipentsezW2c supports unlimited companies, forms and recipents with no extra charge. 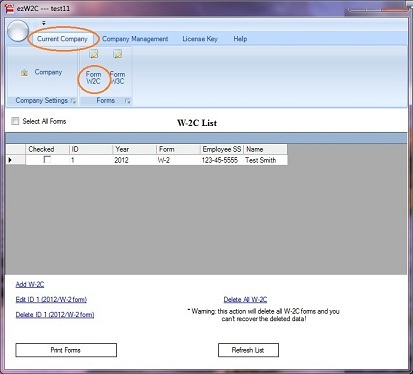 EzW2c print all w-2c forms and w-3c on blank paperezW2 can print SSA-approved W-2c and w-3c forms on blank paper prepare W-3c formprinting w-3c form made easy with ezW-2c software Prepare W-2c formpreparing and printing W-2c form made easy with ezW2c software from halfpricesoft.com W2c software - company setupezW-2c software's graphic is easy-to-use and user-friendly Edit Forms Simple and affordable ezPaycheck payroll software for small businessEzPaycheck payroll software helps streamline small business accounting.